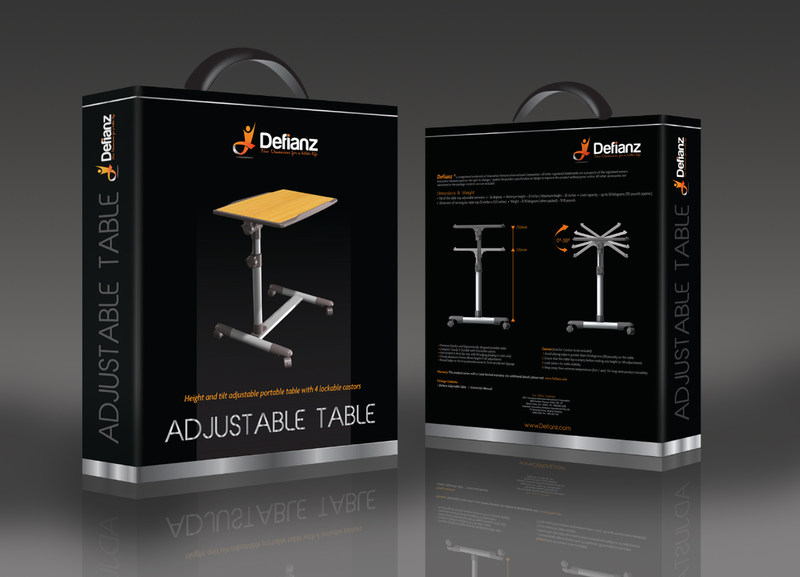 The new Defianz Adjustable table is sturdy yet portable. 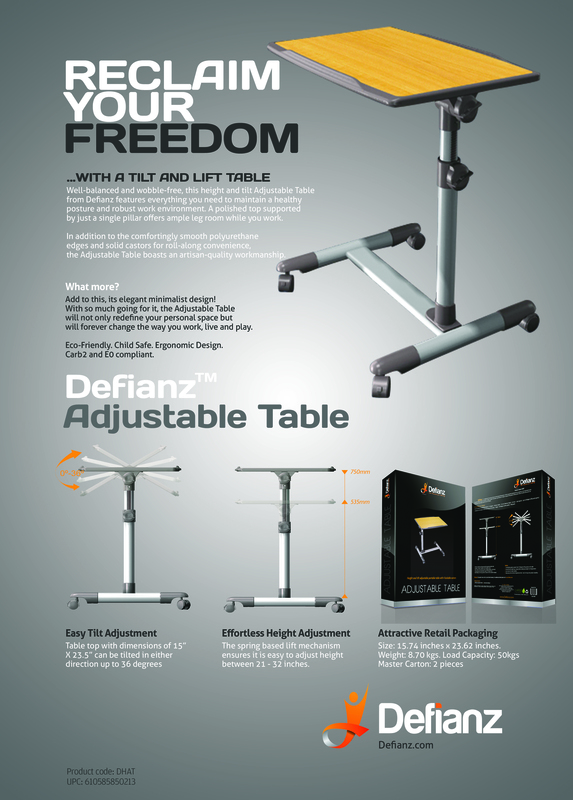 Designed to easily hold upto 50 kgs of weight, the product comes flat packed and takes minutes to assemble. The attached owners manual contains easy setup instructions. 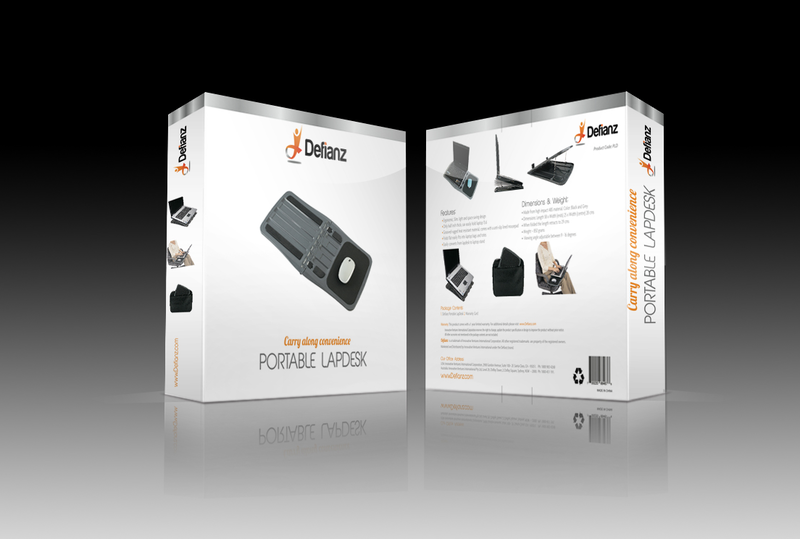 Click to view or right click and download the PDF guide to save a copy permanently. 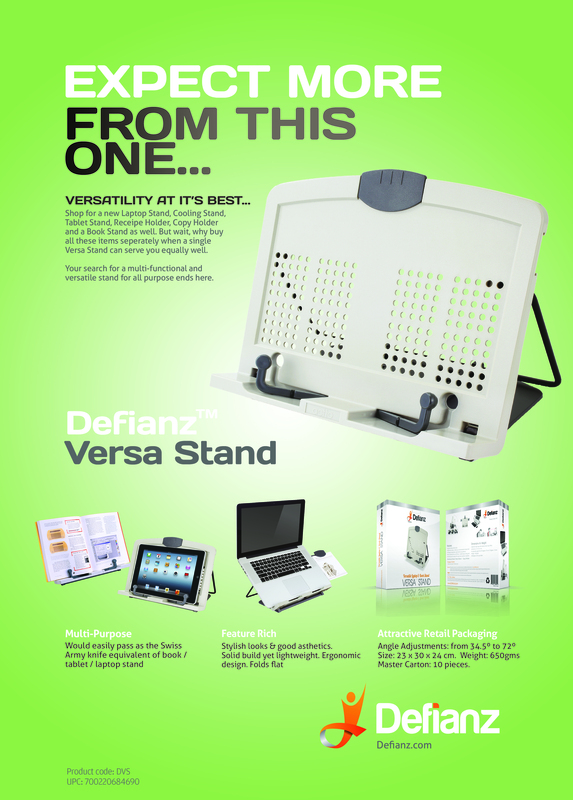 Lightweight, versatile and portable – the new Defianz Adjustable Stand has myriad different uses. 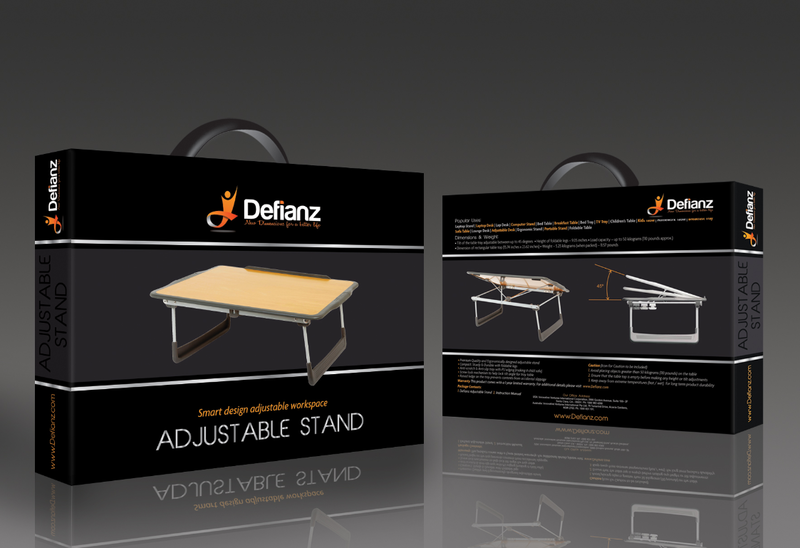 The product comes flat packed and does not require any assembly. You can just use it straight out of the box. We have however compiled a handy owners manual which will help you get the most of of your purchase. 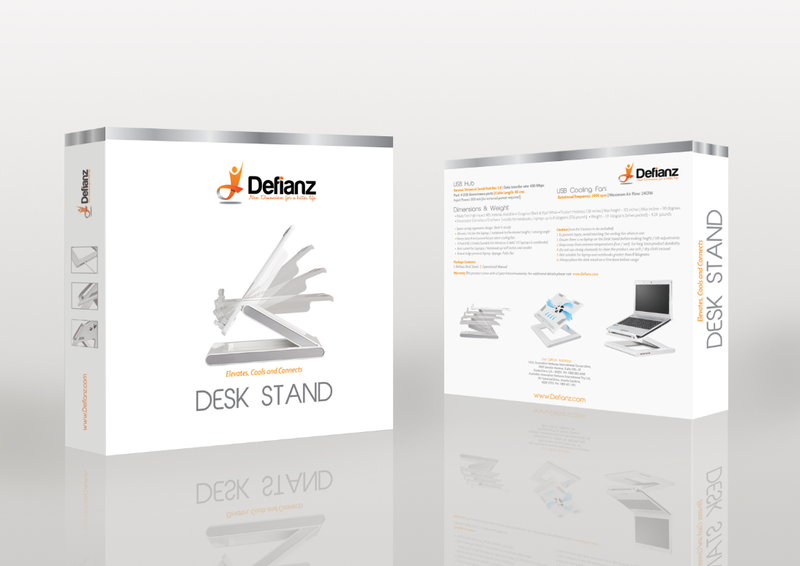 Click to view or right click and download the PDF guide to save a copy permanently. 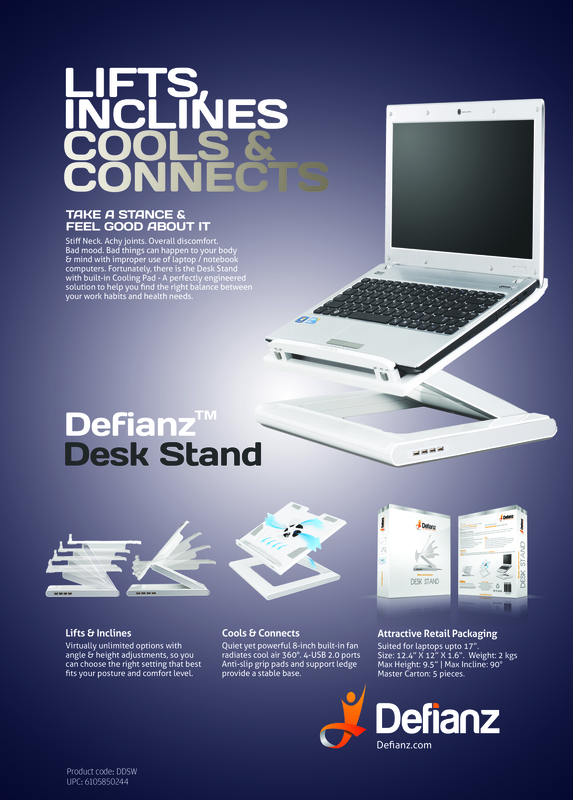 The Defianz Desk Stand has dozens of easy-to-set position-options with which you can elevate your laptop according to your own specific needs. 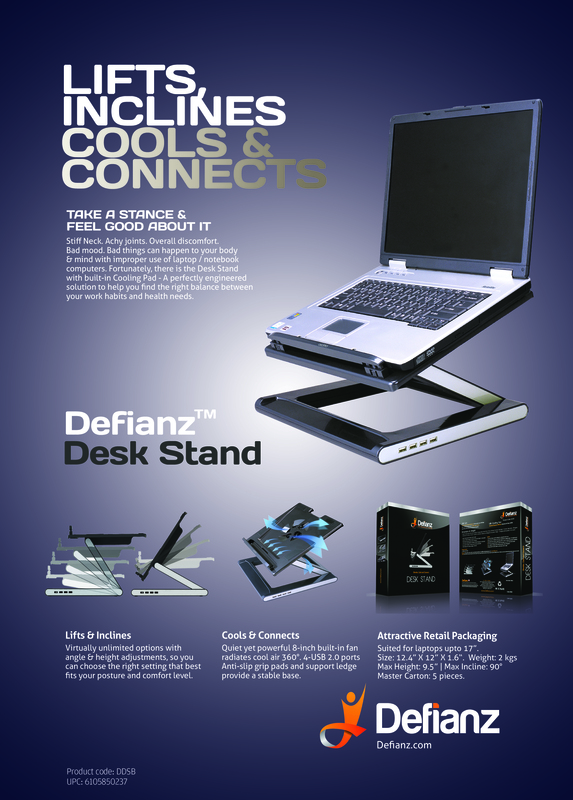 So, it basically takes away all the issues that make your laptop non-ergonomic and turn it ergonomic for you! 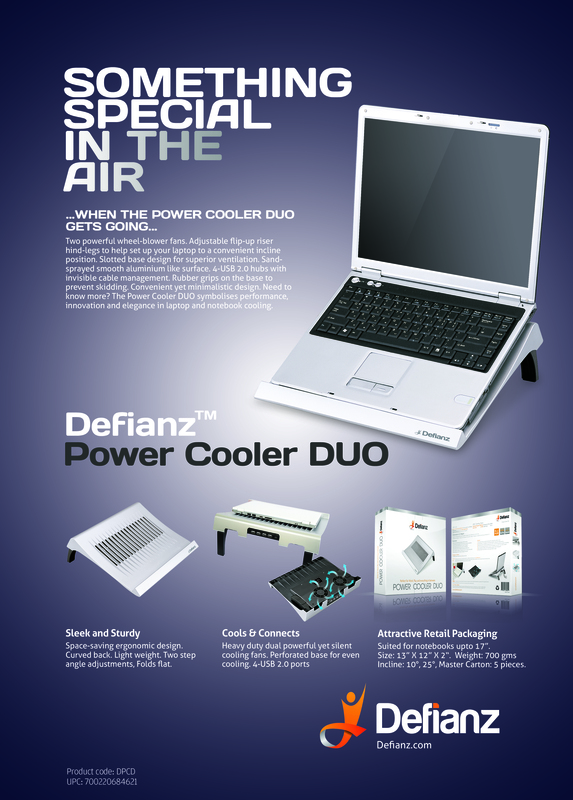 What’s more is that it cools your laptop, as well as connects it to all your USB devices! 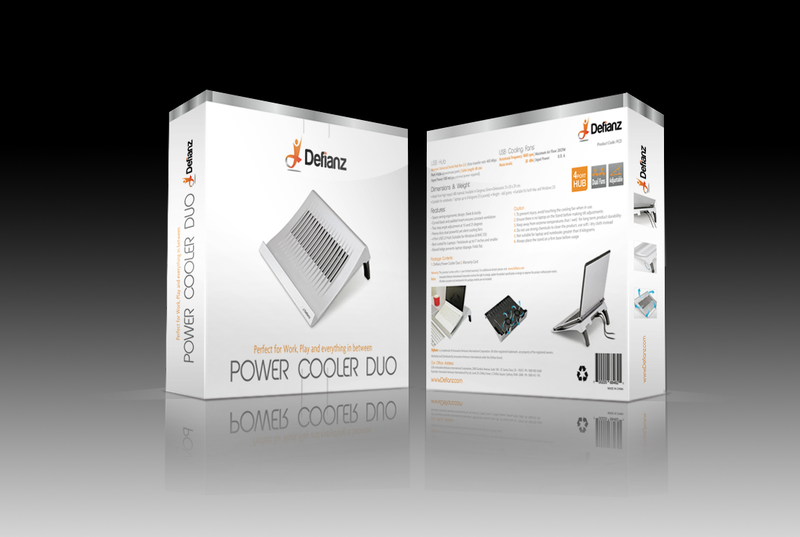 If you are after a powerful cooling pad for your laptop or notebook, this sleek looking gadget pretty much ticks all the boxes. 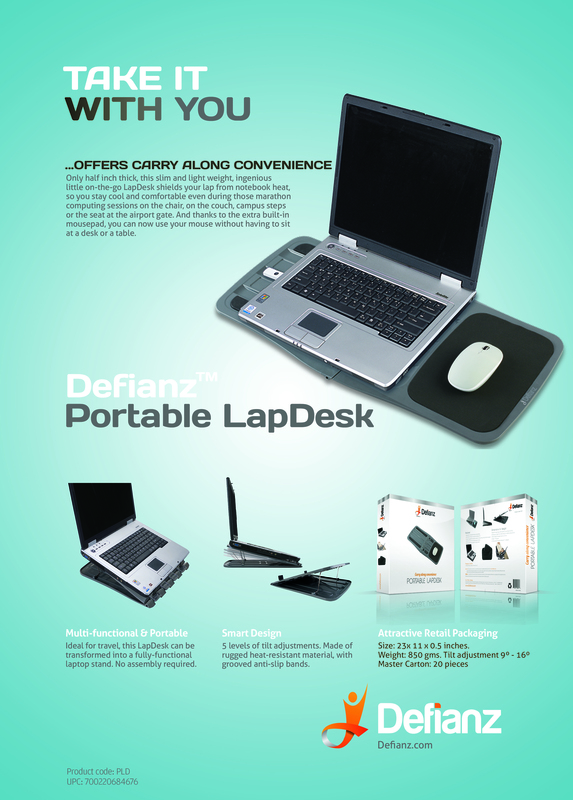 It’s light enough for you to carry it around and has enough oomph packed in it, to ensure your notebook or laptop stays cool even after those marathon movie sessions, game sessions or serious effort at work. 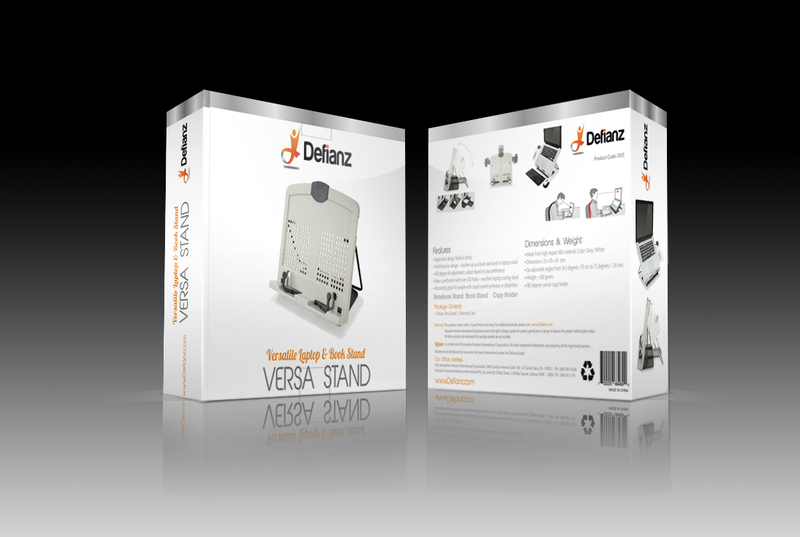 Raise virtually any laptop or notebook screen to the perfect viewing height. Type while reading text from the notes you took earlier. 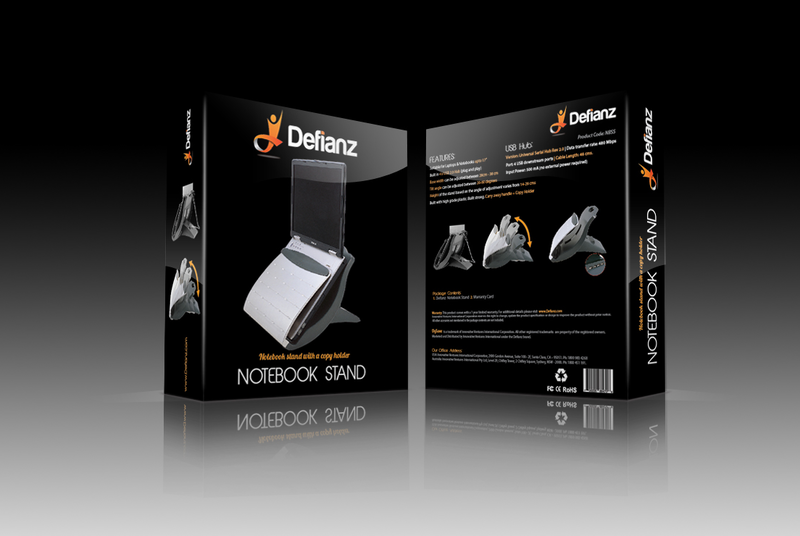 Cool your notebook. Connect your iPhone, Printer and Camera’s USB jack into the stand. 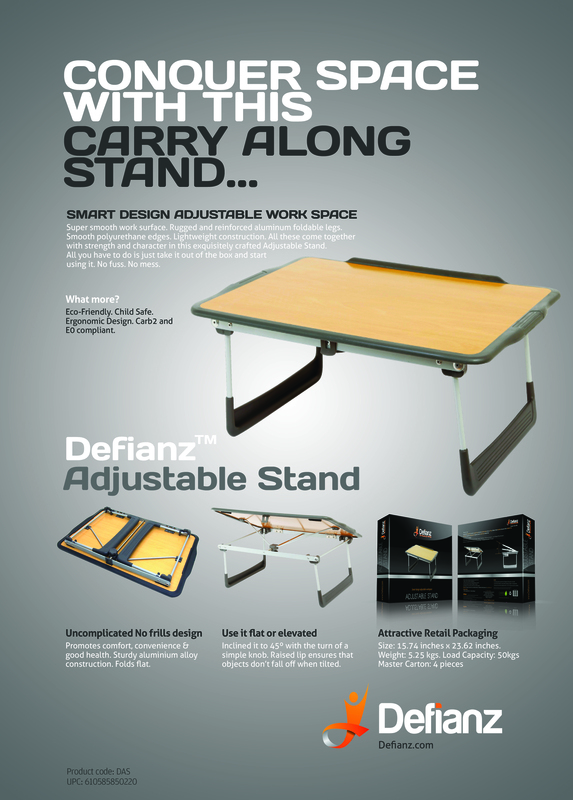 Work in absolute comfort! 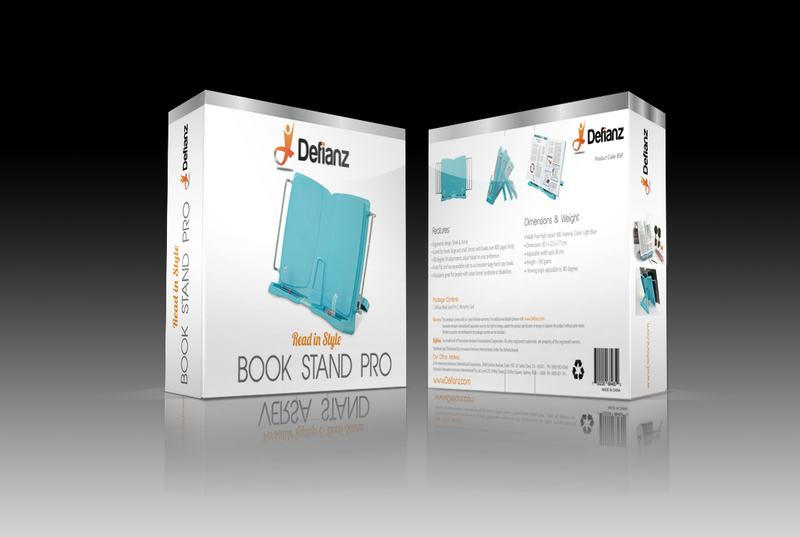 Forgot those bulky, heavy-set books stands of flimsy design & adopt this new versatile Book Stand Pro. Carry it anywhere and bring on the comfort where-ever you go. Hand-free reading has never been so much fun before. 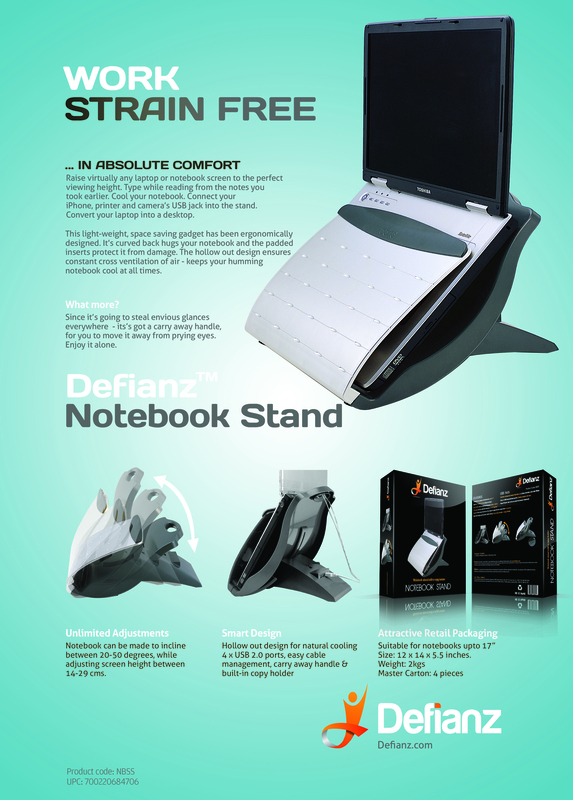 Great for holding copies, manuals, paperbacks, novels, cookbooks etc. 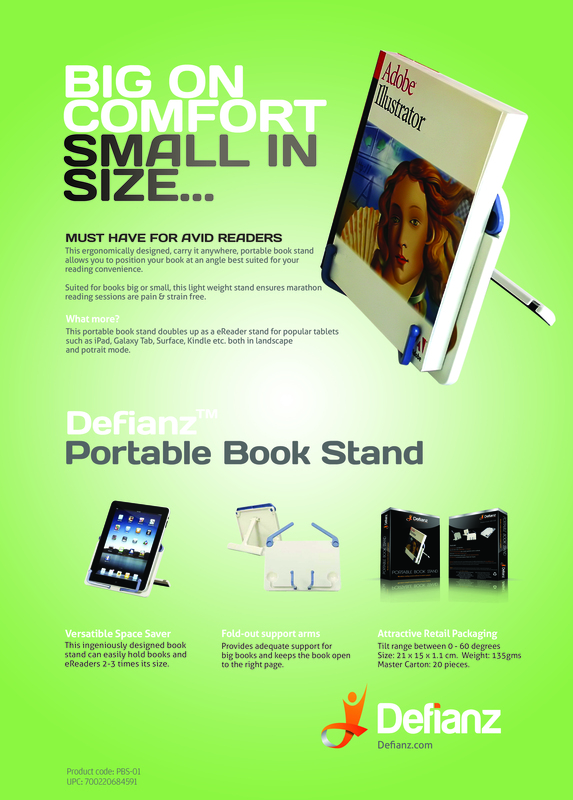 Accommodates Big Books, Hardcover Books, Cookbooks, Thick Books. 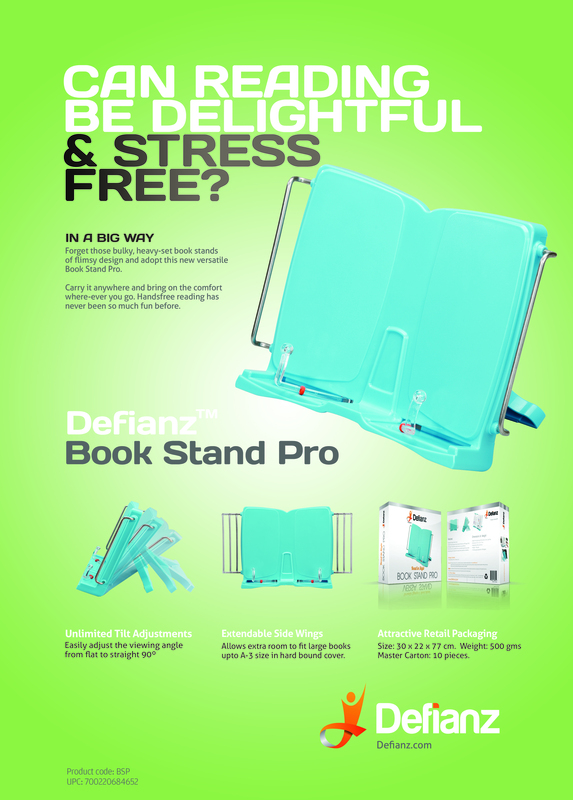 A no nonsense portable book stand which allows hands-free reading. Flexible & light weight construction ensures that there are few moving parts - the design is kept simple hence it will give you years of reading comfort. 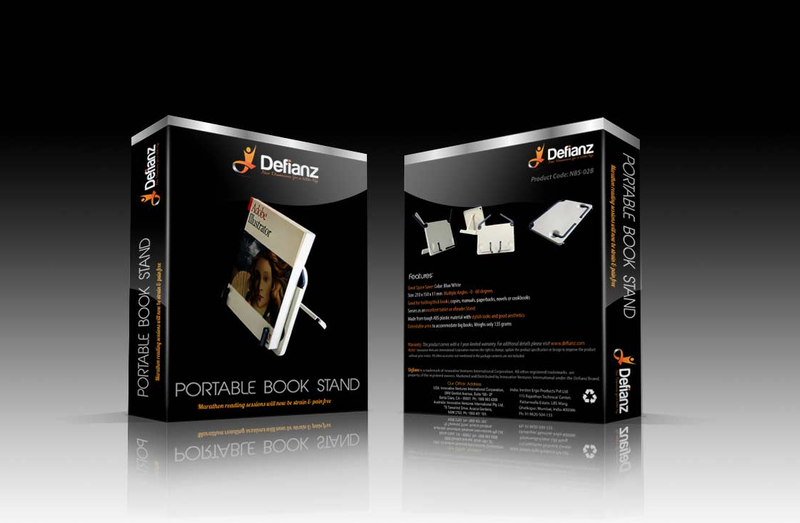 The book stand folds flat and is only 200 grams in weight - hence the "carry it anywhere" tag. It’s a clip - but an innovative one. 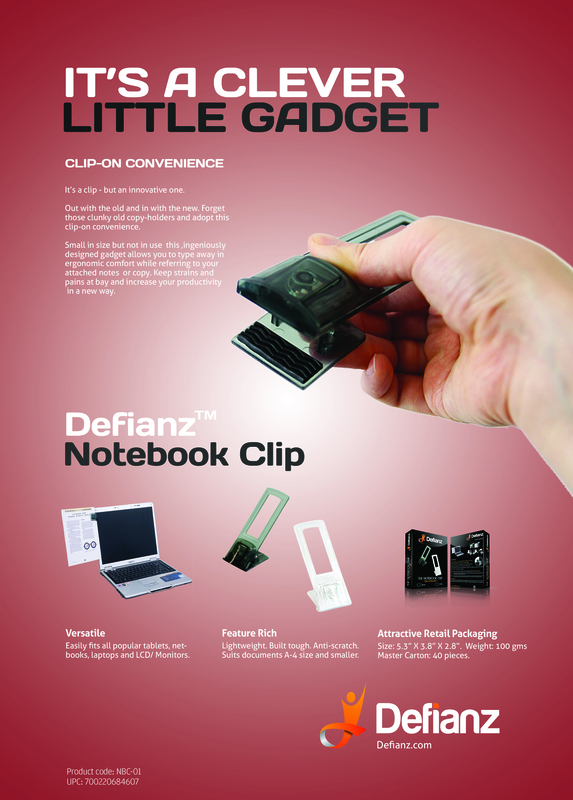 Effortlessly attach it to your notebook, tablet or net-book and you’ll be able to clip-on a document or your notes, allowing you to type away in convenience.